There is no denying to the whimsical beauty and elegance of ‘White’. In the fashion world, white is no longer a color of couture but it has turned into a complete genre and considered as a style statement. 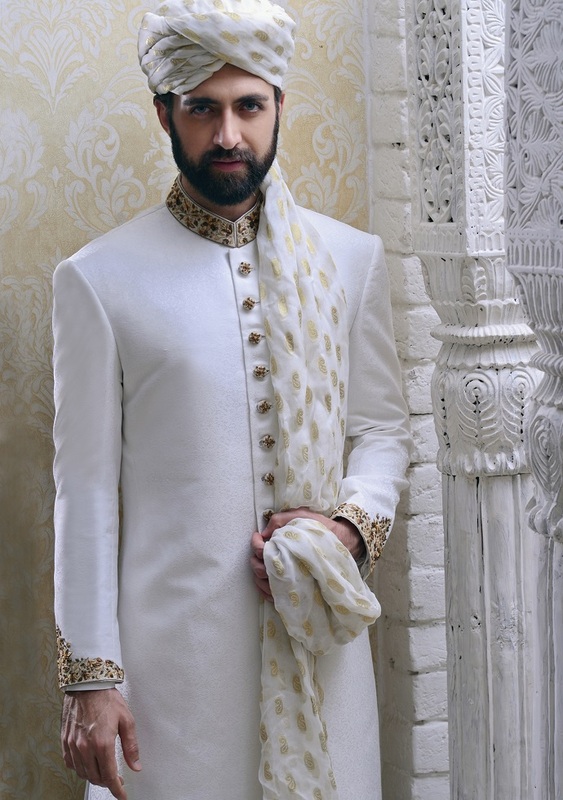 Whether its eastern or western wear, the white has its place in all the exclusive and exotic outfit collections. Especially when it comes to summers, the white withers away all the toxicity of a hot day and brings calm to the eyes. 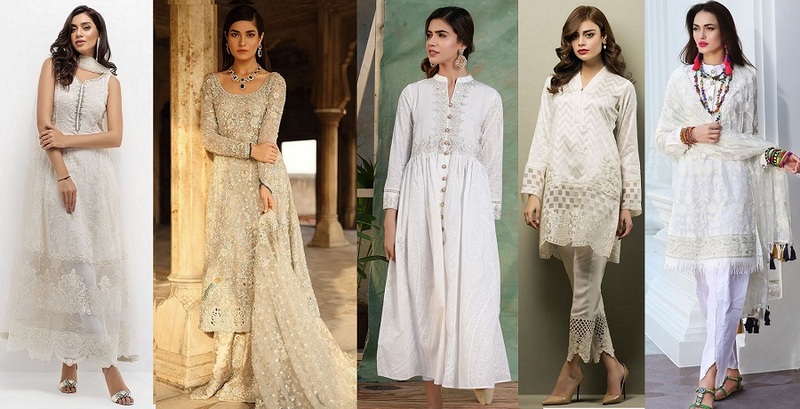 Ethnic wear in white is even more popular due to the soft image they carry. 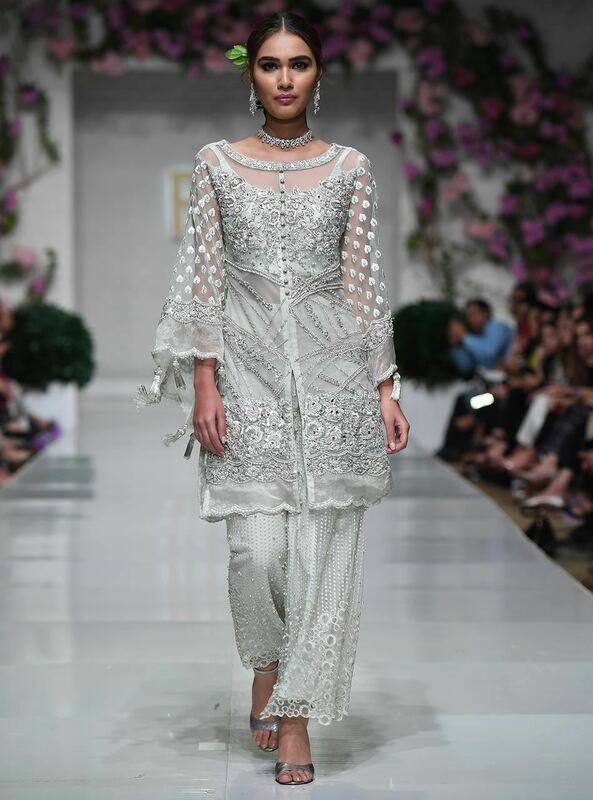 In Pakistan, white has gotten much of the popularity in recent years where now the entire fashion walks are based on this single theme. From complete monochrome to a sharp contrast, the white looks good in everything. In both menswear and womenswear, this color has a way of highlighting the charms in you. What is most appealing about these dresses is that they suit every body type and age. Moreover, the sophistication is surely guaranteed when you opt for an all-out dress. When most people think of a single colour, they feel like they are out of many options or there is quite a limited variety of it. That is not quite true when it comes to white. Now within this theme, there is a number of shades and tones available that could suit your fashion needs. Ash white, off-white, Pearl white, pure white, sky white and many other shades are available which can be beautifully captured in any style and use any fabrics. From chiffon to the lawn to cotton, organza, georgette, each stuff is produced with several shades of whites. And when it comes to formal wear, embroideries are also famous for their exquisite outlook. With whites, you can use almost any other shade for embellishment and looks mesmerizing. 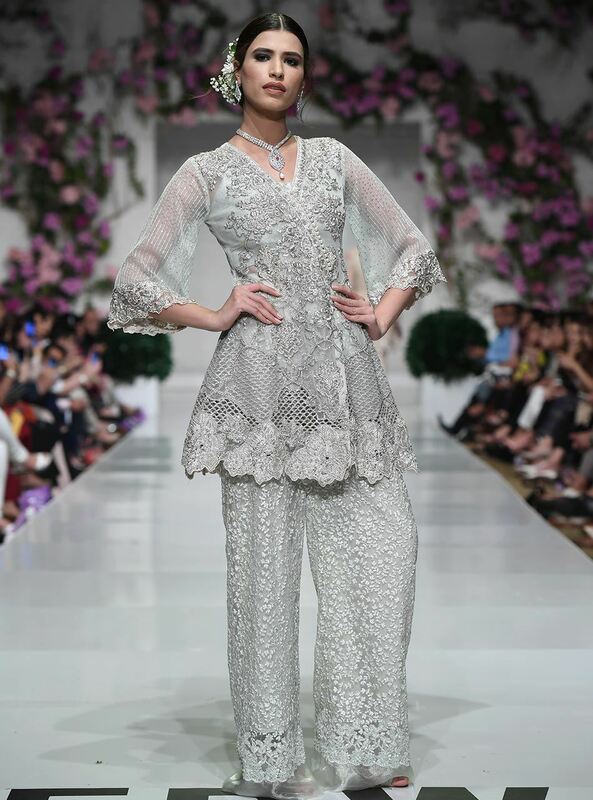 For fancy outfits, gleaming embroideries in silver and ivory also look amazing. To break down the entire genre into lovely ideas and designs, let’s talk about men and womenswear separately. We all know that both are equally demanded. For womenswear, the white has many forms and styles. From ultra-modern ones to extremely traditional dresses, white sparks the femininity of every woman in such a distinctive way. You can design casual shirts, tunics, shalwar kameez, stylish bottoms, frocks and maxi all in white or at least in some combinations of it. For ladies, embroideries are the perfect way to add variety and diversity in style. Trying new cuts and stitches is another of creating a masterpiece for your wardrobe. For a complete and balanced outlook, consider following the entire theme for the entire dress, from accessories to dupattas and even bottoms. Well, what definite varieties are there to explore and add to your latest outfit collections is the question of concern here. 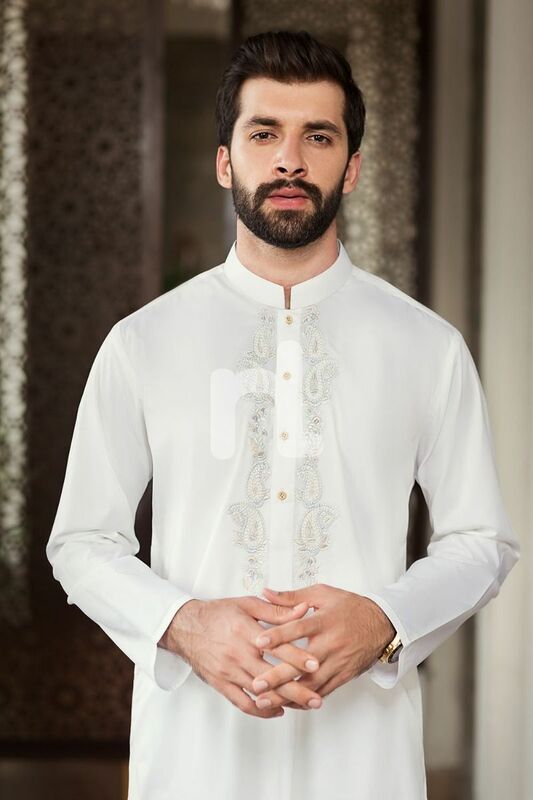 Simplest of all the styles is the shalwar kameez and suit all the needs of the day. From routine casual wear to the formal ones. The medium length shirts with simple shalwars are great to carry anywhere. Where lawn is the need of the hour, cotton and lace cotton is also in the trend. Printed white lawn shirts are quite in a style which is adorned with bordered or neckline embroideries. The bottoms are laced with mildly hued prints or laces. 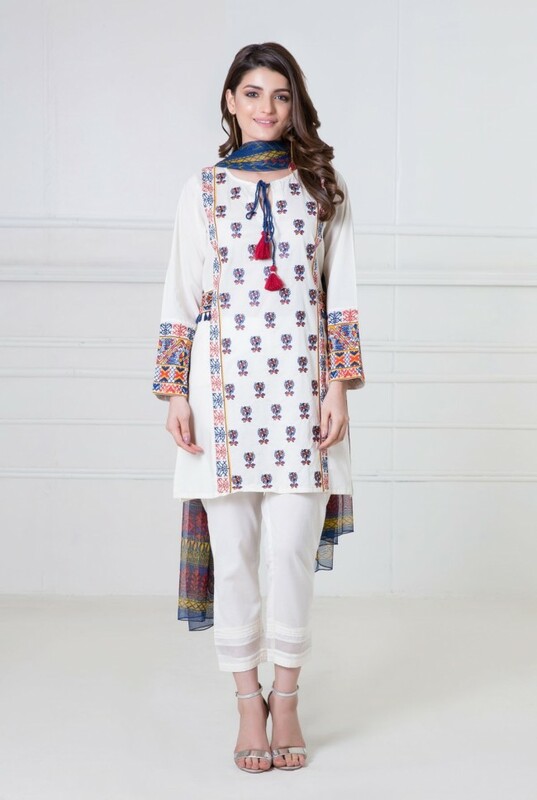 White shalwar kameez in georgette and chiffon are also taking the center stage in the world of fashion. Either its tulip shalwars or baggy ones, the medium length shirts in white go with all. The most lovely and appealing dresses in white are designed in long and voluminous frocks or maxis. Such maxis are greatly used for all sorts of fancy wear. Shimmering embroideries in zari, zardozi, thread, lace and sequin are all used for such maxis and frocks are used for wedding wear and as fancy party dresses. Where all entire the maxi and frock is designed in white, the bodice is highlight using embellishments, pearls, beats etc. Chiffon maxis and frocks in white are alluring and they give the best drapes and flares. Frocks in white can further be discussed as the ones in angarkha and the one with Churidar trousers, they have more eastern outlook. However, western style simple chiffon frocks are also great to give a try. There is a number of occasions for which these maxis can carry and those include Bridal showers, weddings and formal parties. Adjust the flares and volume as per your desired and according to the functions. For brides to be, the maxis and frocks have to be more voluminous and fancy, so that’s how you opt for it. Another great way to enjoy the nice shine of white in your life is to try it in a simple and elegant peplum style. Whether its peplum frock or simple shirts, the style looks great in almost every shade of white. Pearl white is most common in fancy and party wear peplum. These embroidered beauties are paired with flare bottoms or bell pants. 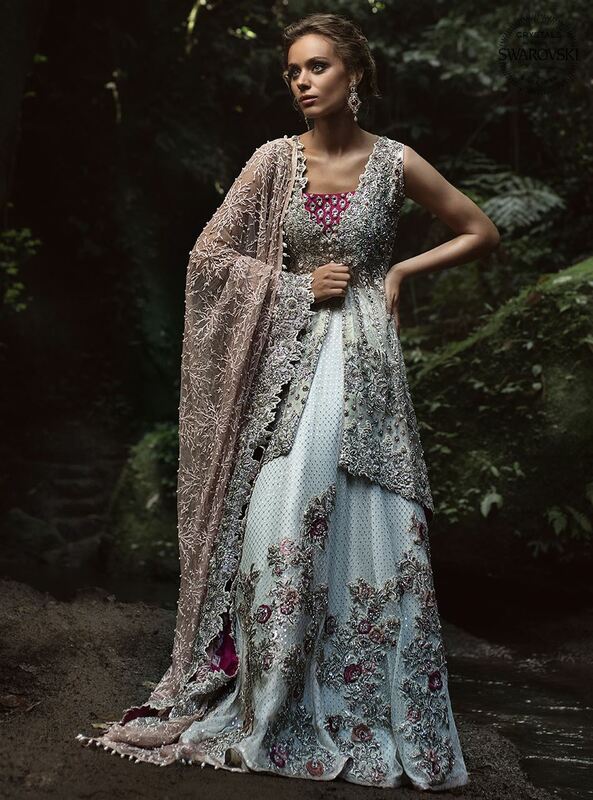 The dress can be entirely designed in white or you can add some hints of contrasting shades in its embroideries or in form of the dupatta. These peplums are short in length and are mostly designed with heavy borders or shimmering ivory or silver embellishments. Those of you who are wondering that where can you wear such pretty dress in this shade, well it suits to every formal or casual celebration from home parties to outdoor events be it night events or daylight festivities white is definitely going to get you all the admirations. You may have seen almost all the western brides, walking down the aisle wearing an angelic white gown and a pure white veil. Even that imagery amuses you with the softness of the white couture. 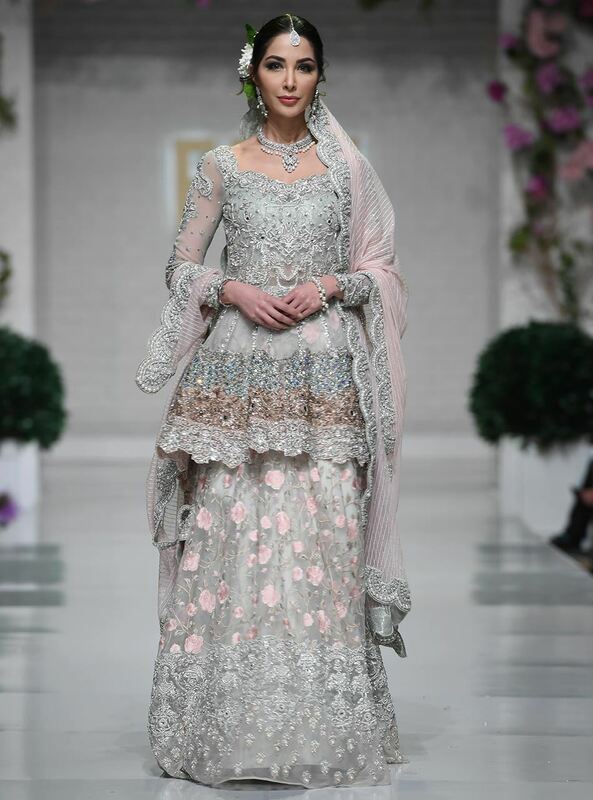 Inspired by the same idea of magnifying bridal beauty up to many folds, in Pakistan now the bridal trends are swiftly changing towards white. 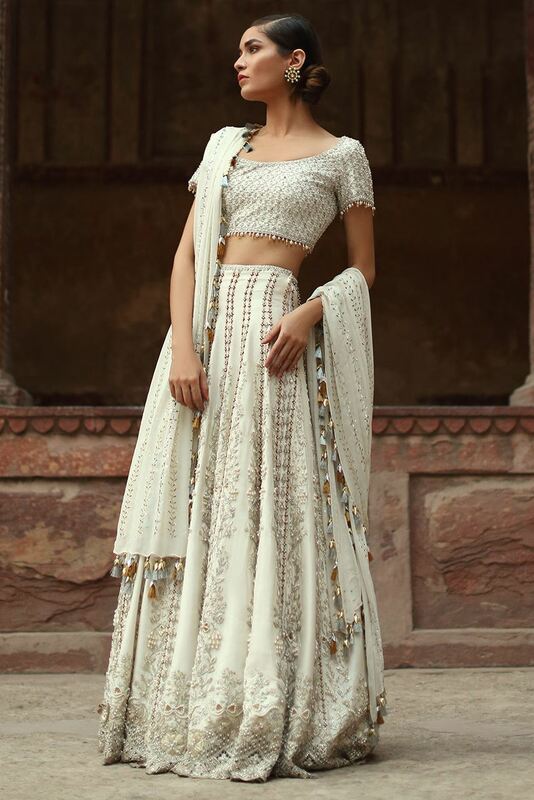 Though it is still opted for the Barat wardrobe but for other days like receptions, Valima, engagement or even for mehndi, the white has become extensively in use. And we all will agree that when a bride is dresses up and puts on a lovely makeover she looks stunningly gorgeous. Bridal maxis in white are best for Valima whereas long gowns and frocks opt for engagements or other events. The neutrality of this shade gives the bride the due prominence and highlights her makeover in such a unique way. Casual wear reminds you of much-needed tunics and kurtas. Due to their comfort and ease, they are fairly popular among all segments of society. You can carry them with jeans, trousers, pants and even with skirts. 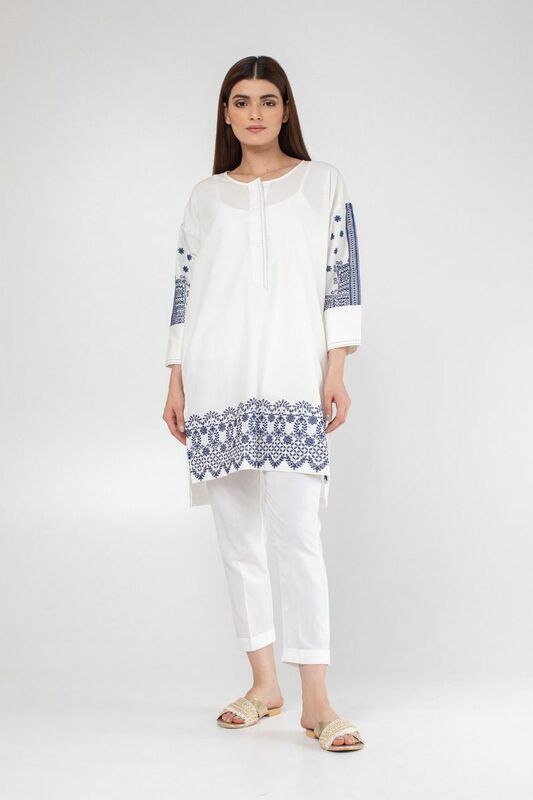 Loose or fit, tunics and kurtas in white are definitely brought joys to your mood in the scorching hot summer day. Kurtis is mostly lightly embroidered with intricate threadworm motifs to add a hint of contrast to the dress. A line tunics are also good to design. The best part about such shirts that no matter which fabrics you select for them, they look great in every form. Remember to not overdo the style and keep it simple and it will roll your style. 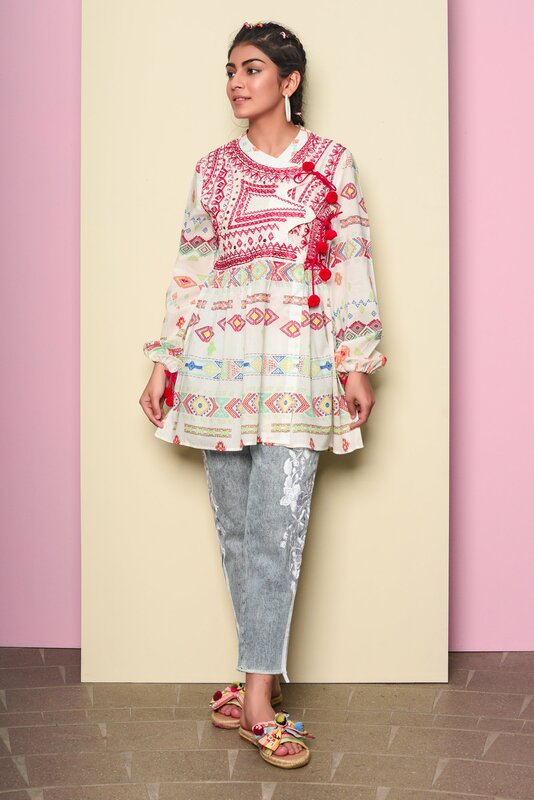 To carry them with jeans, opt for shorter tunics or kurtas and for other bottoms you can try any length and can complement the loose tunics even with a contrasting belt. Belts are a great way to add color to the simple fashion canvas. It not only brings colour but also gives a classic style to the dress. Before summing it all up for the ladies, it is important to discuss the latest bottom styles which are more popular in white. 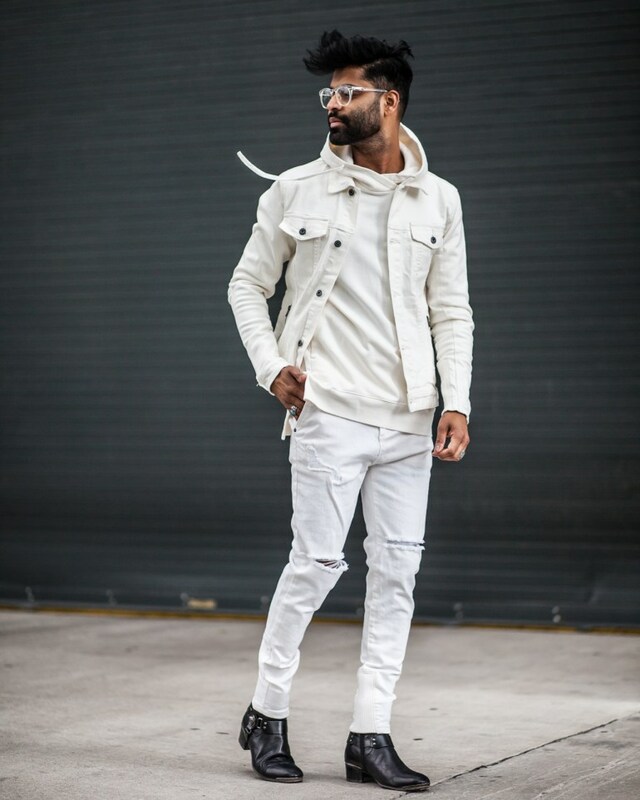 Whether its straight trousers, cigarette pants, tulip pants, sharara pants, flared trousers, Churidar, etc., they all should be tried in whites to pair with the best of the outfits. This is our way of telling you how important the bottoms. 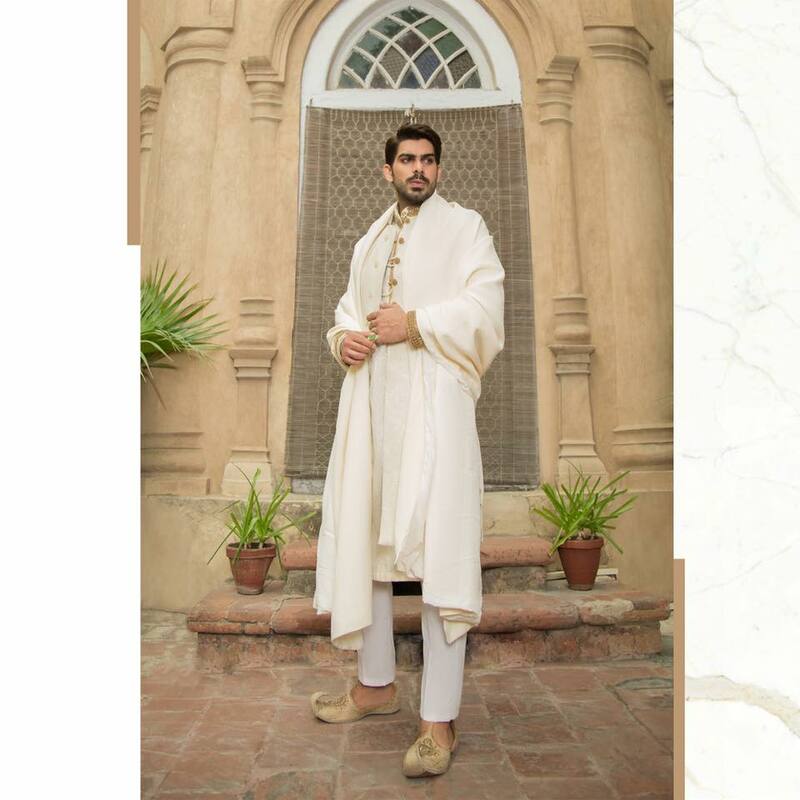 They are the part of almost every festive couture so it is always better to get a complete range of bottoms in whites and be ready to nail the latest styles. It’s time to discuss some fashion for all the guys out there. This topic may lure almost all the men, as white is not only the colour of preference for them but they all look such kind of neutrality and elegance in their dresses. White has its way of balancing off the personality outlook and gives a regal, sober and novel touch to a person. Thus whether it be shalwar kameez or western shirts or suits, all men love to carry the theme everywhere around. So we have brought all the possible and latest dresses and designs which you can carry to almost every occasion and function within the country or even abroad. White for grooms is making headlines these days. 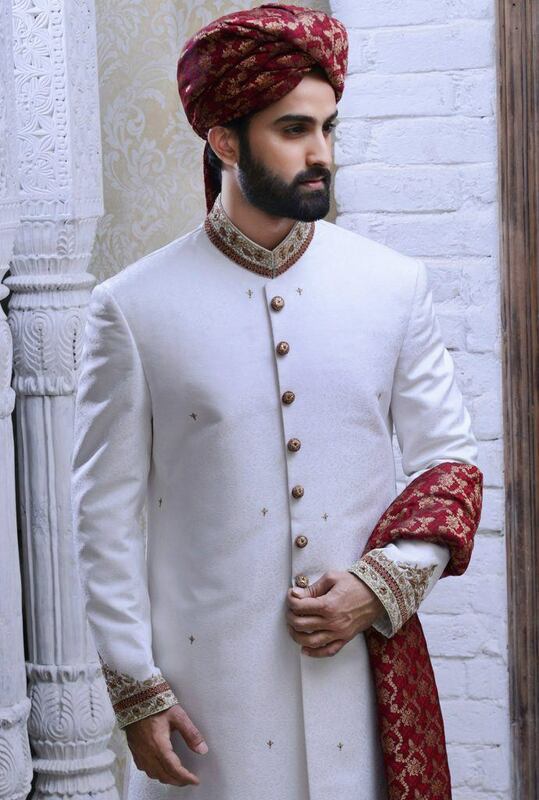 Grooms in pure white shalwar kameez or sherwani are seen in every other wedding catalogues. Why white for the special, is the question you all must be asking to yourself. 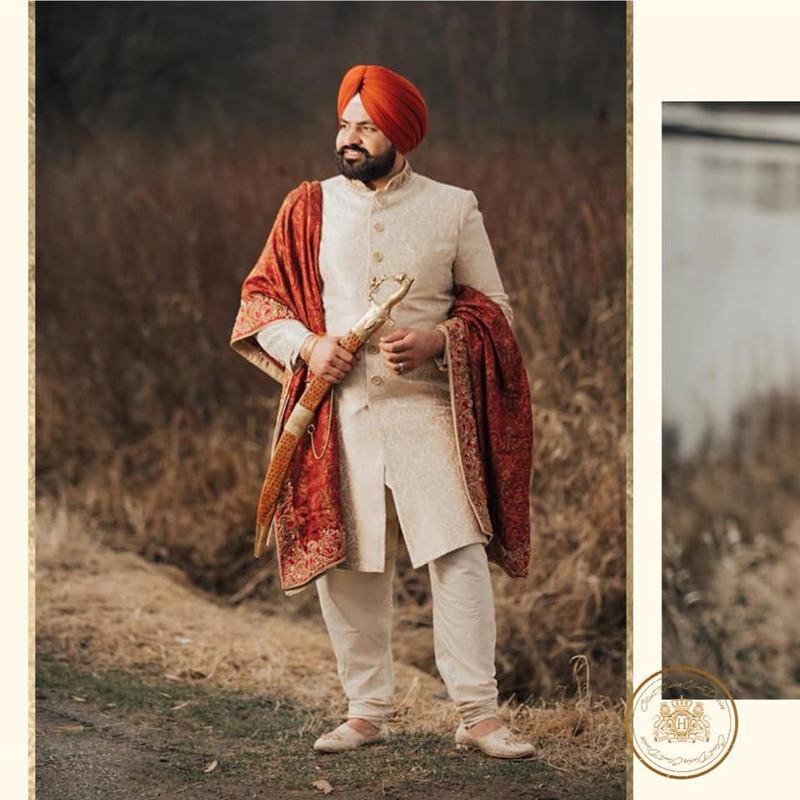 Well, it is the only shade that can add a perfect balance to the heavier bridal outfits, so the element of grace and masculinity is enhanced in a most subtle way possible. No matter what colour the bride is carried, if the groom carries white the theme will naturally set up accordingly. When you think of ethnic wear, shalwar kameez comes in everyone’s mind. 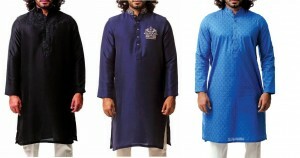 It is both custom and style to carry shalwar kameez on Eid, weddings and special home celebrations. 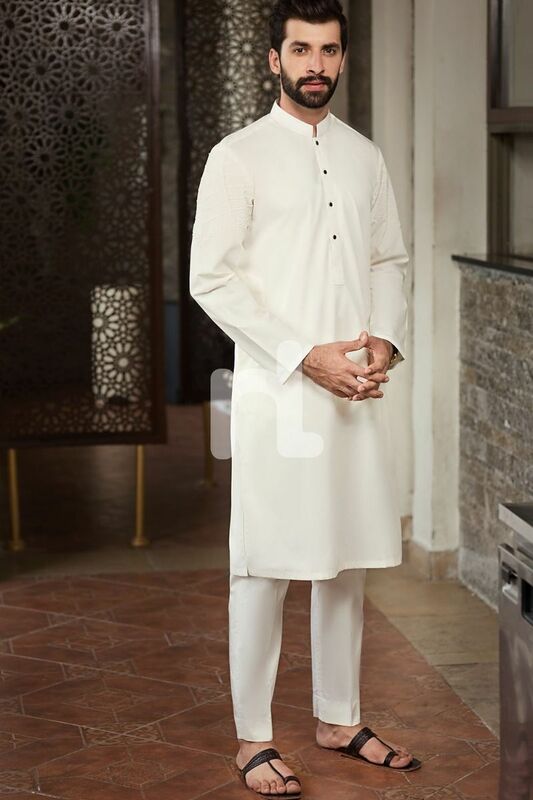 And when you carry a nicely stitched shalwar kameez in white, you look like a walking masterpiece. 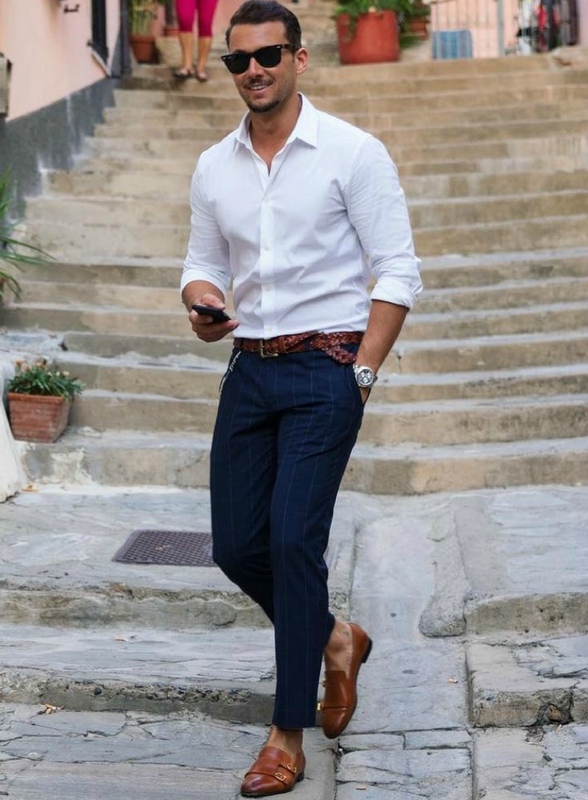 The added advantage of such outfits is that they are great for every season and looks great with any accessory like men scarfs, glasses and footwear. To add life to this simple theme, you can even carry some colour neck scarf or get the suit embroidered around the neckline. For formal meetings and office routine, dress shirts are a must to have. Even to carry a tux, every man a good neutral shade for the dress shirt. And what other shade will be more appropriate than white. Such a shirt and dresses in white are popular because you can create almost any theme by just changing the colour of the tie. So with a single shirt, you can vary the style every other day. You can now even enjoy the diversity within this style with various types of embedded shirt textures and different cuts of the collars. Whichever design you choose, just make sure to always create a contrast with a different shade of bottoms and other accessories. 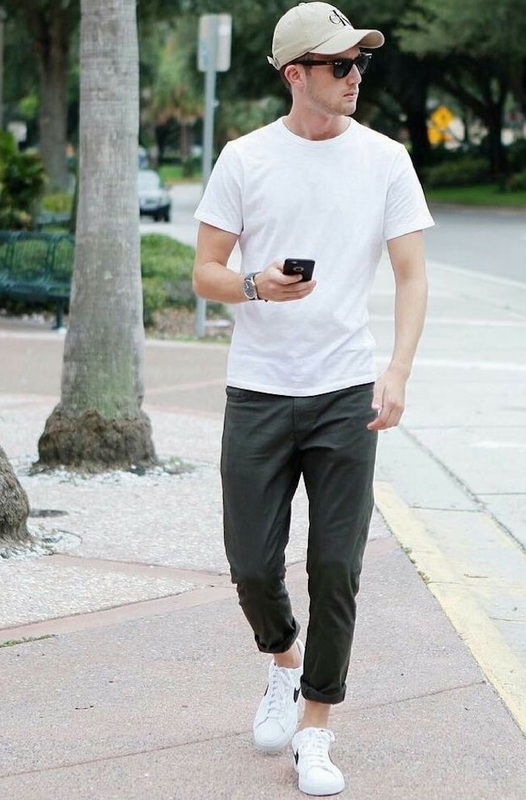 Another great way to casually incorporate white into your routine couture is by some white t-shirt for yourself. These shirts vary from plain white to white with colourful collars or pocket linings. Good brands and clothing line can further help you decide the best t-shirt for your wardrobe. Half sleeves, full sleeved, contrast sleeves, every variety is available in such shirts. You can carry them with jeans, trousers and even shorts in summers. 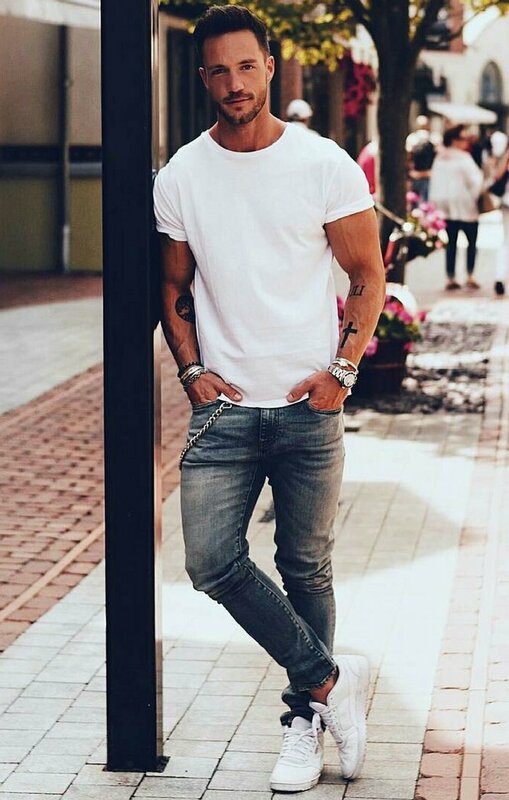 It is not necessary to pick up the bottoms in the contrast with these shirts, you can also try them with light and soothing shades. The term western wear includes a variety of styles which we are going, to sum up here. From all-out white tuxedos, suits, jackets and sweater vests, there are a variety of ways that you can try. Imagining of a suit seems quite surprising to many but a nicely designed dress with the balance of shades and stitches may help you get the desired outlook even in whites dresses. Similarly, jackets or jumpers are also great to enjoy the depth and beauty of the white shade. Keep the style in sync and balance then you will definitely enjoy the perks of it.